Sake and shoyu used to be sold by weight. Each sake store lent kayoi tokkuri or bimbo tokkuri with the store name written on it, to customers, who would bring it to the store and buy as much sake as they needed. This style of selling was adopted not just for sake but also for selling wine and beer throughout the world. From an ecological viewpoint of bottle reuse in Europe, sale by weight has been successful in the modern world. Unfortunately we can only see Japan’s kayoi tokkuri in an exhibit room, but there are some stores in Japan where we can get sake by weight. It is welcomed by those who want to buy sake just in the amount they can drink. 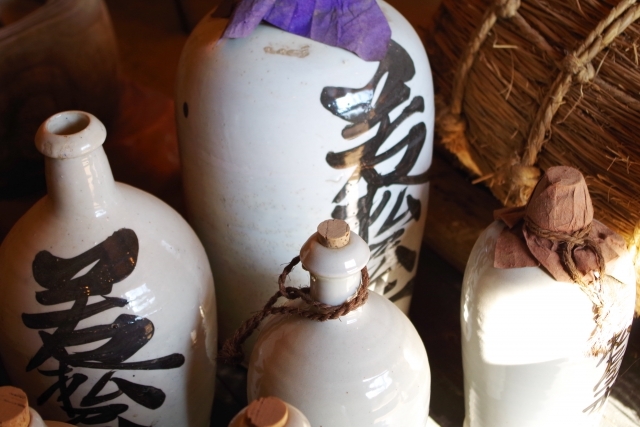 The typical style is to buy the store’s special bottle and just get as much sake-by weight as you want. You can reuse that bottle or bring your own bottle, but in some areas, these may by prohibited by public health centers because of hygiene issues.